We live in a transitional time in which technology is allowing us to do things that once seemed impossible. Discussions about home automation, the Internet of Everything, rapid prototyping and 3D manufacturing swirl around us as we prepare to step across the threshold of a new era. Makers, now empowered with low cost and open source hardware/software, are taking hold of these new ideas and through a deliberate process of experimentation, play, hacking, design, iteration, building and prototyping are laying the groundwork for this new, enabled future. One of the most exciting aspects of this new maker-enabled landscape is in the area of manufacturing. 3D printing, both on a personal and commercial level, are in a rush of advancement and growth. What used to take a design team and a factory of skilled workers to produce, can now be designed and prototyped right from our desktop, and with a click of a button sent off to be manufactured in any quantity imaginable. Jesse Lozano, co-founder of Pi-Top, an open source, DIY laptop solution is one of the makers at the forefront of this new “industrial revolution”. Their Pi-Top system was designed, iterated and funded using these new era methods of production. We caught up with him to ask a some questions about Pi-Top, the future of manufacturing, open source tools, crowd-based funding, and how it all fits together. How did the Pi-Top come about? What was the impetus for the initial idea? Ryan and I are both makers, and when we first met we both thought Raspberry Pi was a great learning tool but somewhat limited for the uninitiated. We both thought it would be cool to try and build the ultimate open source mobile device and that took the shape of a modular Laptop (you can even 3D print the case). We started to trial it with students and makers and the idea got increasingly refined to what you see today. What was the process you took going from prototype to Kickstarter to production? We always knew we would have to crowdfund Pi-Top. So we built the device as part of a journey that we showed online through social media, part of that was making sure our prototype was feasible to scale into mass production. With that in mind we set about getting as prepared for production as we could to make sure we had set a realistic timeline. We had several fully working versions of Pi-Top, a lengthy list of manufacturers we wanted to use, and an exact understanding of what the costs of the process would be. Throughout the production process we have completely redesigned Pi-Top, in fact the original prototype is now a world apart from what we are producing. As we moved along the production process we became exposed to techniques and methods that drastically change what was possible. As we found better ways of doing things we were able to improve Pi-Top. As an example, we now have a battery pack capable of 10-12 hours of use on a single charge, whereas early on, we could only promise 6+ hours of battery life. What role did digital tools play in helping to facilitate the Pi-Top (product) development? As an early stage startup we couldn’t afford to pay for expensive computer aided design software. Luckily there is a bunch of free software available to all makers, for Printed Circuit Board (PCB) design we used DesignSpark PCB and for 3D modelling we used DesignSpark Mechanical – both from RS Components. The great thing about this software is that it’s free and unlimited to use, which isn’t always the case with “free” software (sometimes they are time limited or capped by number of components). We always knew that we would eventually move on to using more professional software, such as OrCad and SolidWorks, but the ability to jump straight into designing without any monetary barriers was a huge help in developing Pi-Top – especially in the early days. Did the Maker community play a role in making pi-top possible? The maker community played a huge roll. We see Pi-Top as the ultimate maker tool in that it can connect to almost anything and is completely modular, meaning you can create your own circuit boards and plug-in additional functionality like sensors. You can access the modular circuit board rail easily through a panel of removable acrylic at the top of the keyboard. These developments were all refined through talking with the maker community on Reddit and visiting hackspaces across Europe and San Francisco. When we launched it was our earliest adopters who really helped us fund the campaign very within 48 hours. We simply wouldn’t be the same company without input from the maker community. That’s why we are remaining open source–a people powered project. 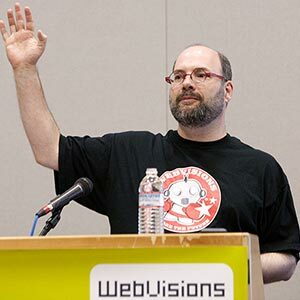 What types of practices did you use for ideation and development? Most ideas were borne out of necessity. We had a set of goals we wanted to achieve in terms of functionality, and we would brainstorm on the best way to achieve the outcome. For this we used a large white board where we could throw all sorts of ideas and problems out for consideration. From that main “holding area”, we would create a second list of solutions with several possible fixes. We could then design and 3D print those solutions and get to grips with how well it solved our issues and met our goals. For example, with the Pi-Top case we had some size issue’s because the Raspberry Pi is a fairly tall device, we didn’t want a bulky looking laptop, so 3D printing was an easy and affordable way for us to test out a range of possible shapes and fittings. It really allowed us to see what we were designing on our computers. Other open source solutions, like OLPC, were very targeted to children. What is the demographic you are trying to reach with Pi-Top? Pi-Top really comes into it’s own at age 10+, we aim to teach real hardware and software skills that can be used in a wide variety of applications in real life. Therefore primary education is not something we aim at currently. That said we have a lot of parents who have bought Pi-Top to use as a fun hobby activity for their younger children (although in those cases the parent often wants to play with Pi-Top just as much as their child does). We currently have a very diverse age range of users, and we are trying to develop with the aim that our content and devices can be used by anyone–from absolute beginners to advanced users. We hope Pi-Top becomes a hub for creation, and a source of fun learning for our user base. What is it that you hope Pi-Top will provide that user base? 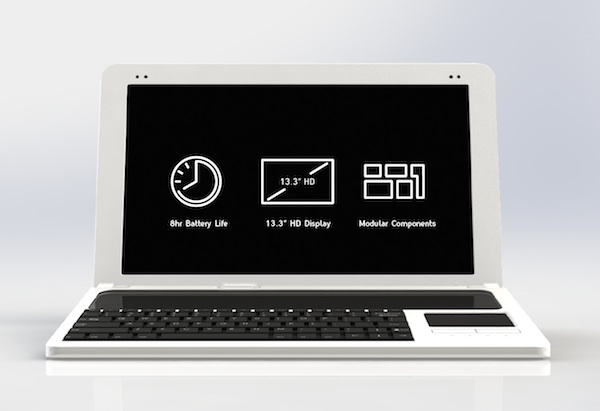 We hope that Pi-Top becomes a normal facet of our users daily lives. It has all the functionality of a normal laptop, so you can browse the internet and type out documents. 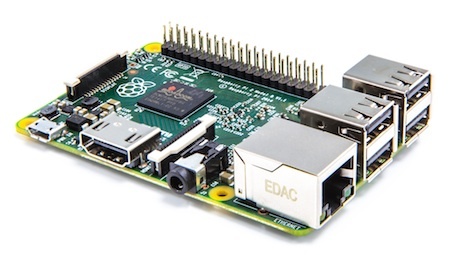 At the same time you can connect and control nearly anything with Pi-top and plug in add-on boards that add further niche functionality – for example a weather station or an educational board that teaches you how to use and interact with sensors you may want to use in a home automation project. We aim to pair this huge functionality with our online learning portal, which will teach our users how to build real hardware. In brief, we hope Pi-Top becomes a hub for creation, and a source of fun learning for our user base. 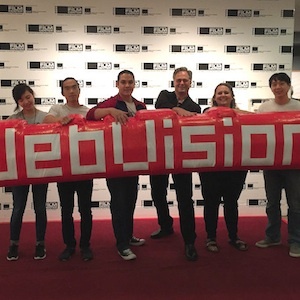 Your upcoming talk for WebVisions Portland will discuss new methods of technology and manufacturing, how are we currently on “the cusp of a new industrial revolution”? New techniques such as 3D printing have a huge effect on how we think about creating hardware. A common example is how disruptive 3D printing will be to high value metals and alloys. CNC techniques are hugely wasteful, 3D printing allows manufacturers to drastically reduce the waste normally associated with say, creating a titanium based airplane part. As this technology becomes more advanced and affordable, every process in manufacturing will be capable of being affected by this single innovation. Combine this with the advancements in general purpose robotics and we can start to see a very different (and highly agile) future for manufacturing. Why do you see open source solutions as being key to this new wave of manufacturing and innovation? Being open source allows a company to create something bigger than themselves, in that many people have the option to contribute in a number of ways to a project or device. This is more relevant for innovation rather than the manufacturing process where scale and process limitations become an issue. We see open access to technology and information as a huge stepping stone to a more informed consumer base–one that actually has the ability to create the changes they want to see in the world. Being open source allows for rapid feedback and iterating at a faster pace with the help of 3rd parties that are particularly interested in what we are creating. What do you see as the main benefit of a small scale, rapid prototyping process that utilizes open source software/hardware and 3D printing techniques? The main benefit lies in the ability for small teams to innovate at a fast and affordable pace–a trend we see already happening with software. Software that once used to be massively expensive is now free, or has “free to use” alternatives. This is starting to happen for hardware now too. For us, that meant we could use DesignSpark to make our first circuit boards. Without free access to this, designing Pi-Top would simply have been too expensive for us to create. In the grand scheme of things, this means small teams are now capable of producing hardware devices that even a couple of years ago would not have been possible. For example, we decided to build our own 3D Printer so we could manufacture our own Pi-Top case prototypes. We were able to create a brand new case design every week, which cost us roughly $20 in materials. By comparison, the average quote we received from traditional prototyping facilities was $1,250 per case. This is something that for us was completely unrealistic, we would have spent over $100,000 on prototype cases and iterations alone. Instead we did it ourselves and the costs were drastically cheaper. We recently read an article in which Disney has started developing fabric-based 3D printing processes. What do you see as the future of material use in the printing process? I see the future of 3D printing finding it’s way into nearly every manufacturing process available today. At it’s base, 3D Printing creates less waste material and allows for hyper customization–both are amazing advancements. In the case of clothes, you can imagine the huge impact of having a base material(s) that create any piece of clothing you wish exactly fitted for your body. It is literally going to change the world, and in most cases, in ways we can’t even appreciate yet. Finally, what role does community and other resources like crowd sourced funding play in this process? The community plays an extremely important role in helping businesses like us understand what to improve and how to refine our ideas. Crowdfunding for us was integral to our development process. It allows a small team (in our case it was just Ryan and I at the start) to gain access to the funds necessary to massively scale an idea. Projects like the Oculus Rift being funded and becoming popular around the world shows just how important this type of funding is becoming to the consumer market. With that said, innovation comes from a wide variety of sources, and so we can’t say it is the new driver of innovation. Rather, it’s an alternative that enables innovation–and, frankly, one that has been very important for us. 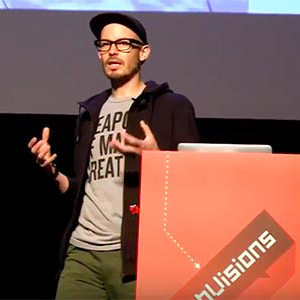 Jesse Lozano will be speaking at WebVisions Portland, which takes place on May 12-15, 2015. His session, The Future of Manufacturing – a Desktop Sized Revolution?, will discuss the future of manufacturing and small scale, desktop-based production processes.